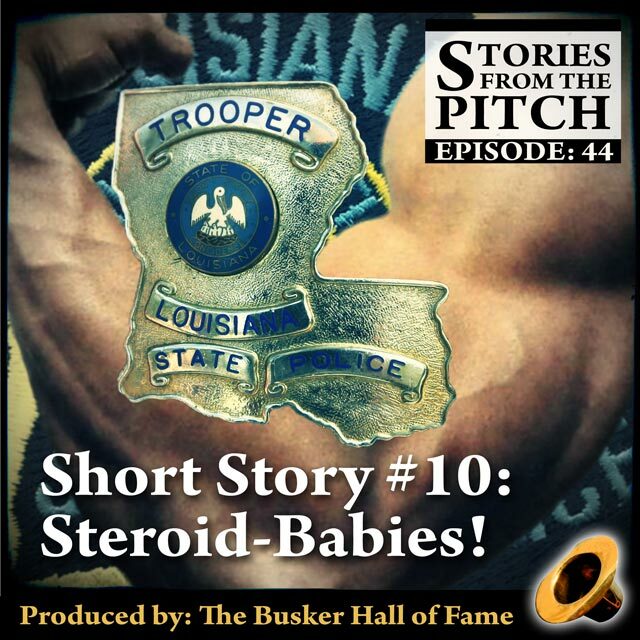 Short – Busker HoF 44 – Steroid-Babies! Notes about the Image: This image is composite created by David Aiken from images found on the internet. Comments: There’s a certain danger in wrapping yourself up in a straight-jacket and performing for an audience. The increased vulnerability you experience when you give up the use of your arms and find yourself restrained in such a way can make you a target for the unruly element that can be found on the street. Bobby Maverick must have forgotten this when he stepped onto the pitch this fateful day in New Orleans because not only did he push his luck with a couple of steroid-babies on their way to Bourbon Street, he continued to do so even after they decided to take their revenge. Funny how sometimes the planets align though and when you take the biggest risks you’re often rewarded with the biggest pay-offs! Jump, as they say, and the net will appear! This entry was posted in Interview, Linsey Lindberg, Stories, Street Performing. Bookmark the permalink.